Syracuse might not have the best resume in the world this year. But, there are two teams in the Pac-12 that definitely don’t match SU’s resume as of right now and are somehow being placed ahead of the Orange in several mock brackets. Now, The Trojans are facing Arizona in the PAC-12 title game tonight, which means if they win tonight they’re obviously automatically in the field and rightfully so. As of right now, though, Joey Brackets has them safely inside the tournament bubble as a member of the “last four byes” region, which makes simply no sense to me. Let’s breakdown this USC resume and try to find out what these bracketologists are seeing. That’s literally the only four teams Southern Cal has beat that are inside the top-50 in RPI. I mean talk about a snooze-fest. That’s one team who isn’t even on the bubble, a mid-major who won’t get in the big dance unless it wins its conference tournament and a Middle Tennessee team that also doesn’t deserve to make the tournament as an at-large. So you’re telling me USC deserves to be in the tournament when it’s very likely it won’t have a single win over an NCAA tournament-caliber team? That’s pathetic. On top of the lack of quality wins, the Trojans also lost by 10 at home to Princeton, who is currently a whopping 222nd in RPI. Additionally, USC just lost at home to a “fellow-bubble” team in UCLA right before the end of the season. 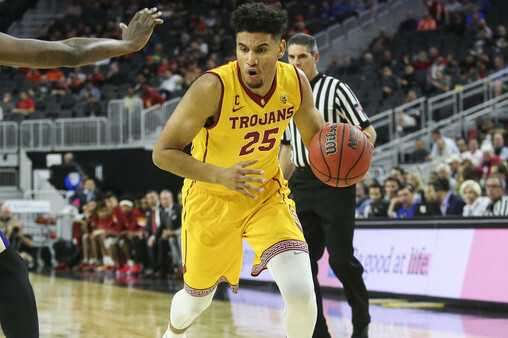 It was a perfect litmus test game where the Trojans had the advantage at home and a chance to prove themselves and simply didn’t. While Syracuse has played a top-20 hardest schedules this year, USC played the 63rd hardest non-conference schedule according to RPI. Not to mention, the Orange play in a far superior conference and have no losses that are even remotely as bad as that Princeton dud. Barring a deep run in the Pac-12 tourney, there’s no way USC should get in this tournament over Syracuse. The Sun Devils are another Pac-12 team that have no business going dancing. While, ASU actually has some quality wins that propelled them inside the Top-5 in the AP Polls at one point, it’s time to stop clinging to that because this team has fallen off a steep cliff. I mean are we really going to put a team in that went 8-12 in PAC-12 play this season? I’m a firm believer in the what have you done for me lately theory. Looking at how a team has played in its last 10 games is a solid tie-breaker when two bubble teams have very similar resumes, in my mind. After all, the number one goal should be to make the best tournament field possible. With that in mind, the Sun Devils have had countless chances to prove they belong in this field and haven’t executed. The most recent example being a 12 point loss to mediocre Colorado in the first round of the Pac-12 tournament this week. That loss marked ASU’s 11th in its last 17 games of the season. You can’t put a team in the tournament that’s in that bad of form.